The stacked stone peninsula fireplace separates the living room from the family room. The hearth is original terrazzo from 1963. Of all the many Vintage Homes in the Las Vegas Historic Neighborhoods that I’ve represented (either as listing agent or buyer’s agent) – this one is my favorite. We put it on the market this morning for $350,000. 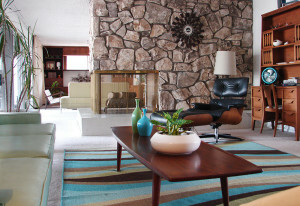 The home most talked about in the recent Mid Century Modern Home tour from Nevada Preservation Foundation was this amazing time capsule in Downtown Las Vegas. 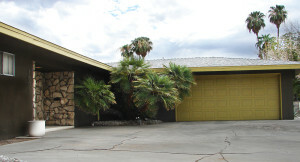 It’s truly one of the best preserved of any of the Las Vegas Vintage Homes that I’ve have the pleasure to represent. Built in 1963, it has only had 2 owners – and both of them were gentle and loving with this classic custom home. 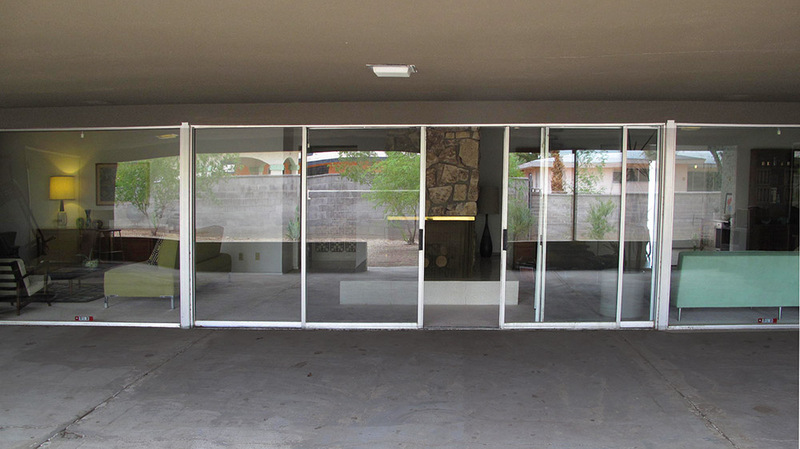 Neither of them added anything on, they didn’t remodel, and they certainly did not destroy the Mid Century vibe. Now it’s time for a new owner – and I know there’s going to be a line out the door. If you’d like to discuss the possibility of owning this Classic Vintage Home…. call me or email me. I’m just around the corner and will be happy to make an appointment to show it. 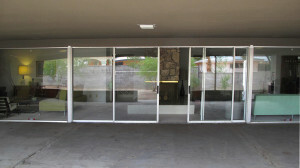 30 feet of glass wall out to the oversized covered patio! 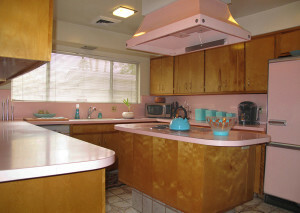 absolutely original with matching pink GE appliances, including double ovens, dishwasher, cooktop and fridge. 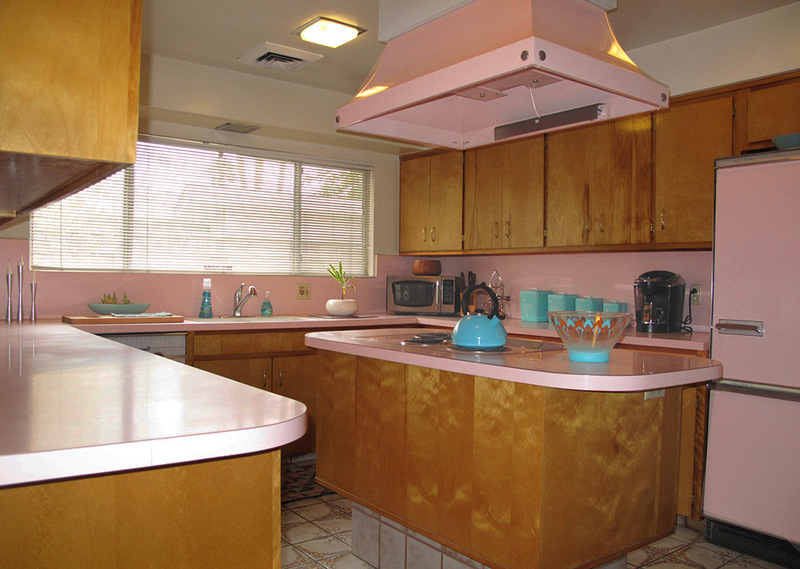 An original functional kitchen that has all the excitement we expect from a Mid Mod. 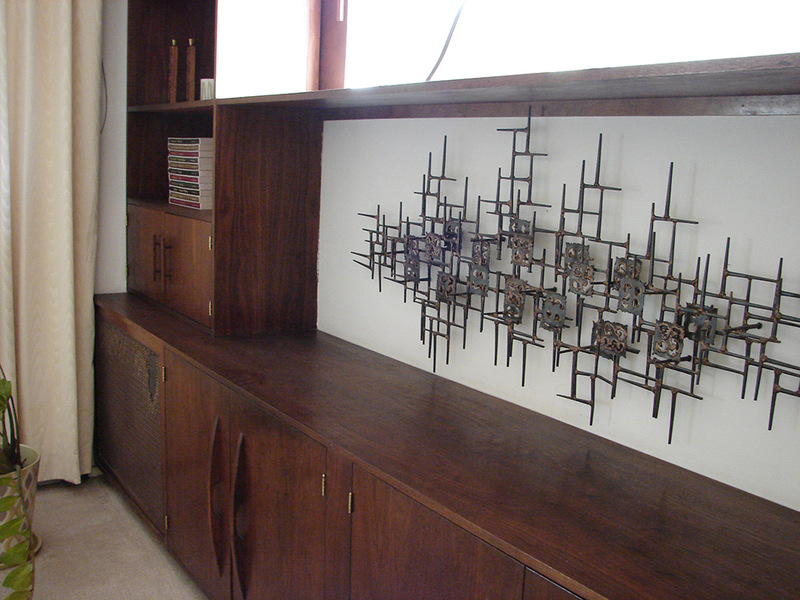 Built in bookshelves, stereo cabinets and storage! 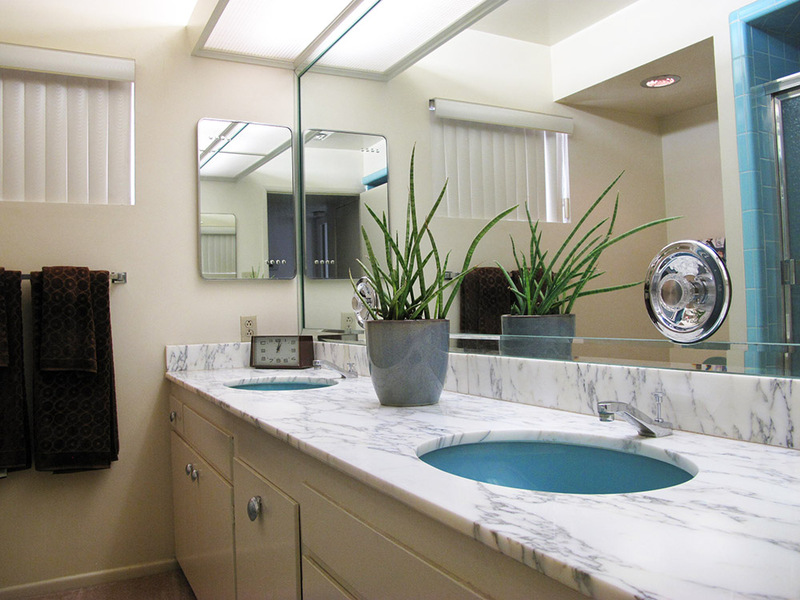 This is the blue guest bathroom off the hallway. Matching tub, tilework, toilets and sinks are all intact. 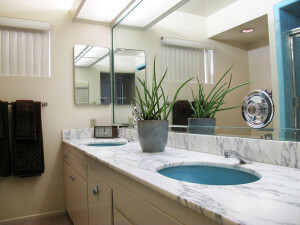 Original bathrooms have haven’t been beaten to death with. A stunningly good looking color scheme for this vintage time capsule in Las Vegas.